Around here, this is what we like to call a universal truth. 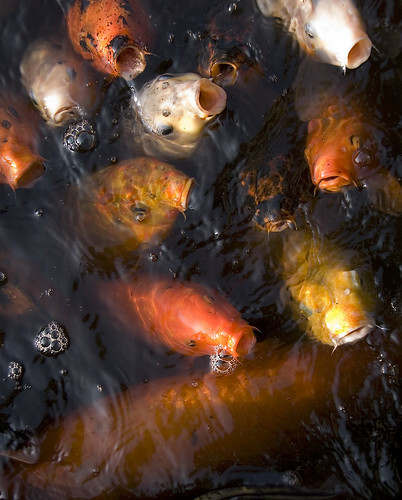 Hogan pinpoints three areas amateur photogs hope to improve by upgrading their cameras. First, is what he calls “the progress bar.” Basically, if you have a camera body that is over two generation old, technology has improved to the point that it may be worthwhile upgrading. The obvious comparison to a camera body in the cycling world is the bike frame. Like the camera body, it is the base that you build from. So the question here becomes whether you need to replace your cromoly or aluminum frame with a carbon frame. If the frame fits and isn’t damaged, is it necessarily something that needs to be replaced? Is this an upgrade that is going to yield significant improvements in your race results? The second reason weekend shutterbugs insist they need to upgrade is “the pursuit of pixels.” A pro-level digital camera used to sport around six megapixels, today you can find several models offering up to 24 megapixels. Hogan argues most people should be fine with a max of 12 megapixels. In the cycling world we call these people weight-weenies. It is the belief that having a frame that is a hundred grams or so lighter will get you from the pack to the podium. Will it? Hogan’s third area is what he calls “FX lust.” This one is a little more esoteric. The typical Nikon digital single lens reflex camera has a sensor that is smaller than what was typical on film cameras. The DX format, as it is called in the Nikon world, works just fine and has some advantages over the traditional full-frame or FX format. Nikon, released its first prosumer FX camera-body last year, the D700. We are going to call this one carbon lust. A carbon frame, like an FX camera, is an upgrade that is closer to what the pros use but it is certainly debatable whether the “upgrade” is going to make you better. (1) Upgrade the body (frame). For the camera, you can go from a D200 to a D300 and gain two megapixels, not enough to make a real difference in image quality, and the ability to shoot at a higher ISO (better performance in low light). For the bike? Let’s go with a Ridley X-Fire. A sweet ride no doubt, it runs about $1500 retail for the frame and fork. It saves you less than 200 grams in weight over the $600 Conquest Pro and may be a less harsh ride. Will this make you faster? Is it really the best use for your $2000? (2) Upgrade the lens (wheels). The 18-200mm lens is a nice convenient lens that gives you a lot of shooting options. It is not the sharpest or fastest lens out there. Hogan argues that a convenience shooter (the one with the 18-200mm lens) isn’t a quality shooter and shouldn’t be spending $2000 on camera gear to begin with. As a good upgrade he recommends getting lenses with a more specific application but improved image quality. Clincher wheels are a little bit like the 18-200mm lens. I know this is a point of contention with many folks but I truly believe that going from clinchers to tubulars can improve performance. If you want to use the same bike and wheels to ride bike paths, commute to work, and do an occasional race, that is awesome. But you may be good with what you have. If you want to invest in an area that will give you some tangible performance gains, a race-specific tubular wheelset is a good bet. And you don’t have to break the bank. You can get a great pair of Dura Ace hubs laced to Mavic Reflex rims for about $600. Add some nice Challenge Fangos or Grifos for under $200 and you have plenty of your two grand left over. 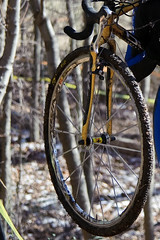 You could also get two sets of Williams or Neuvation cross tubular for not much more. 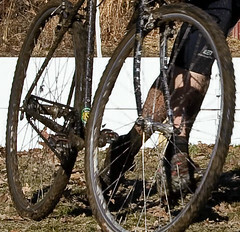 Then you could have one wheelset for mud and one for dry and grass conditions. As you get more serious deeper rims may be a good option if you race through a lot of mud or sand but box rim tubular are a great start. (3) Upgrade the photographer (racer). For two grand a photographer can attend several workshops, hire an instructor and take some classes. According to Hogan, “good instruction will take you further in image quality faster than camera upgrades or lens upgrades.” The same can be said for cyclocross. Attending clinics and hiring a coach will reap greater benefits quicker than a new frame or wheelset. Learning proper technique can save you valuable seconds every lap of a race. Having a coach develop and tweak a training plan that has you peaking for the ‘cross season is money well spent. Check out the interviews I do with podium finishers. More often than not, they are giving shout outs to their coaches first. I have yet to have somebody thank their bike. (4) Upgrade your support. For photography this literally means “support.” It’s making sure you have a quality tripod that is going to stabilize the camera and improve image quality. Funny thing here is that in this area photographers and cyclists are birds of a feather. Many tripods are aluminum. But the lightest, strongest, stiffest ones? They’re carbon. Weight-weenies exist in all walks of life. Support for cyclocross? It may be a portable pressure washer for race day or a pit-bike or wheelset. For me? I’d spend the money on a babysitter and take my wife on a date. Cyclocross season is short and intense and you need the support of those around you to make it enjoyable. If you can swing a couple nights this season for just you and your significant other? That is money well spent. How does that translate to cyclocross? It’s easy. Upgrade yourself first. Hire a coach, go to some clinics, make a commitment to get into riding shape. You are the engine, after all. A weak engine in a sweet chassis doesn’t make much sense. Maybe invest in a power meter to assist your training. Once you have done that, think about going from clinchers to tubulars. The ability to run at lower psi will improve your game, I promise. If you have that all dialed in and your frame is really old or damaged consider a replacement. And with the left over cash?? With that you can check out the donate button over there on the right hand column and drop me a couple shekles to keep this site up and running. So where would you spend the $2000? Leave a comment and let me know. The bailout bill actually did provide $20 / month for businesses to reimburse cyclists for commuting expenses. So, the government will give you that money… over 100 months. There are cheaper options for tubular wheels out there too. Since the performance is in the tyres, you might as well just buy Tiagra or 105 hubs on Reflex or Velocity Escape rims and use the money saved for tyres. Kazane should have a tubular wheel out this year as well. I have to agree that upgrading your support by taking the wife out is without question one of the best upgrades I could make. I agree that training (with or without a coach) is the most cost effective investment you can make in your racing. 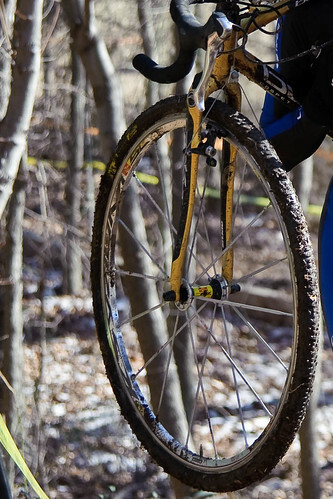 The next is anything that goes in circles–wheels and cranksets. Re: the camera analogy. I’ve been *really* wanting a newer, faster camera, but I decided to take an actual photography class using my current camera, with weekly assignments and critiques. If after that, I’m still not satisfied with my equipment THEN I can get a new camera. Great piece, I think you hit the nail on the head. Previous Previous post: Got Skillz?